KNOXVILLE, Tenn. — A strong performance in singles play helped Arkansas to a 4-2 win at No. 31 Tennessee on Saturday, the Razorbacks’ third straight victory against the Volunteers. 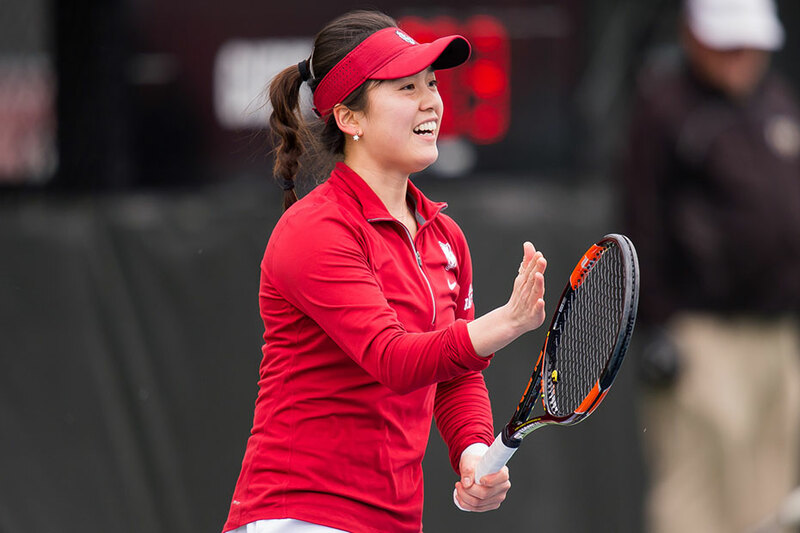 Tennessee (17-8, 3-10 Southeastern Conference) won the doubles point, but the Razorbacks (7-15, 3-10 SEC) stormed out in singles action, earning four victories, including the clincher from sophomore Natsuho Arakawa at No. 4, for the overall match victory. The Volunteers’ doubles point came by way of victories at the top two spots after Razorbacks Arakawa and junior Agne Cepelyte struck first, 6-2, at No. 3. An early deficit wouldn’t stop the Razorbacks from winning the first set at the top three spots and turning each of those leads into victories before Arakawa delivered a three-set comeback win to give Arkansas the team victory. Tennessee earned the first win in singles, a 6-4, 6-1 decision at No. 6 by Johanna Silva, to take a 2-0 lead. Then came the surge as the Razorbacks won the final four matches at the top four positions. Sophomore No. 51 Giulia Pairone defeated Sadie Hammond, 6-2, 6-4, at No. 1, junior No. 83 Ana Oparenovic moved past Elizabeth Profit, 6-4, 6-1, at No. 2, senior Mia Jurasic topped Ariadna Riley, 7-6 (7-4), 6-1, at No. 3, and Arakawa scored the clinching victory at No. 4. At the clinch, freshman Tatum Rice was entering a third set after winning the second, 6-3, at No. 5. Arkansas will await its seeding for the 2018 SEC Tournament, which is set to take place in Knoxville from April 18-22.